Let the Games begin! The SkiSoutheast Snowshoe Summit starts tomorrow. 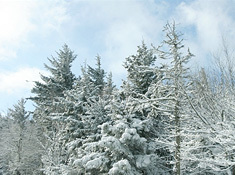 SkiSoutheast.com’s own viewers have voted it the number one ski destination in the Southeast every year since 1996. The reasons are too numerous to mention within this space; however, suffice it to say that you owe it to yourself to make Snowshoe Mountain one of YOUR destinations for the coming winter. 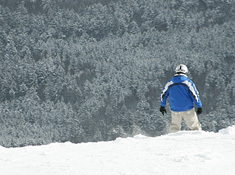 Snowshoe is comprised of TWO distinct mountains that are skiable with ONE lift ticket. The terrain offers challenging trails for every skill level, and Snowshoe is one of the best resorts regarding recognizing the ever-growing population of snowboarders, as they offer THREE terrain parks which are open to skiers and snowboarders. For those that want a little diversion from all of the snow sports, Snowshoe has a lot to offer. Visit the Connection Nightclub, Comedy Cellar and a host of restaurants and shops. The Village of Snowshoe features high quality lodging with Rimfire Lodge, Highland House, Allegheny Springs, and the Seneca Lodge. The Big Top, a 15,000-square-foot space, offers kids and teens a great alternative from the slopes. From arcades and simulators to dance parties and dinner & a movie, the Big Top is the place to go for fun this winter. The Seneca, located in the heart of the village, will be open for its second winter season. Offering studio through three-bedroom units, The Seneca combines a great location with fantastic amenities including underground parking, fitness facility, hearth room, and private courtyard featuring an oversized thermal spa and great western views. The Seneca also features an executive Board Room and hospitality suite. Expedition Station takes the place of the old Spruce Lodge. Expedition Station is the newest lodging property on the mountain. Offering studio, two-bedroom and two-bedroom with den units, Expedition Station will offer a completely new lodging alternative for guests this winter. In addition to Snowshoe’s wide variety of lodging, they also offer tons of different dining options. New for the upcoming 2010-2011 season, The Junction and Auntie Pastas will feature new menus while also retaining old favorites. A new restaurant in the Village will offer sandwiches, soup, salads, and great beer. And, you’ll find a new BBQ buffet on Saturday nights at the Shavers Center! Snowshoe offers a HUGE choice of beautiful ski rentals from inns to efficiencies to suites to beautiful cabins and more. Due to the large list of available lodging choices, we have created a separate page promoting many of their offerings. Click HERE to see Snowshoe Mountain Rentals!